Start a collection or challenge your friends while prepping for the zombie apocalypse with our 6 Piece Zombie Ninja Stars set. 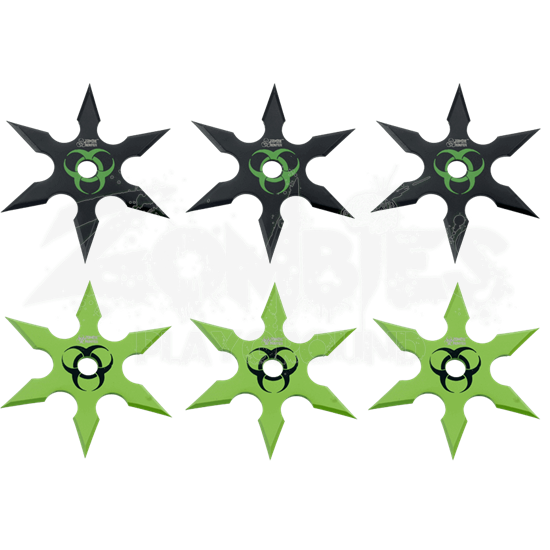 With six black and green stainless steel throwing stars, you can begin training for zombie slaying with good old practice. Included with the throwing stars is a sheath for that holds all six throwing stars. 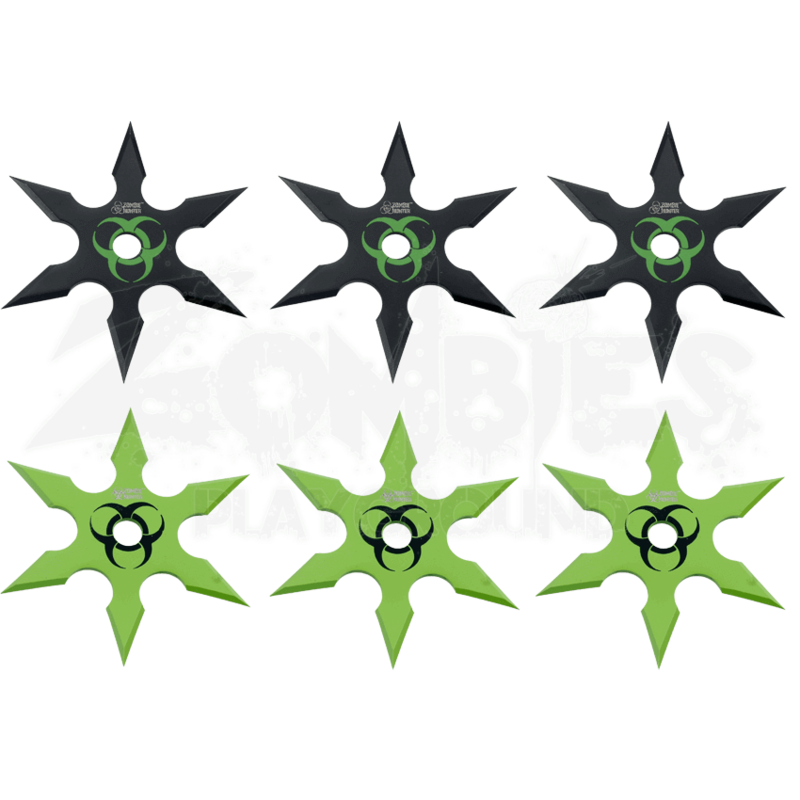 Buy the 6 piece Zombie Ninja Stars set, and start making your way to survival.